The San Francisco Police Department has shared information that 2 Chainz was robbed around 4:30 PM in San Francisco, CA on June 9. 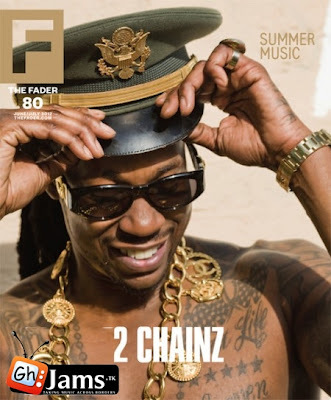 The police discovered 2 Chainz after responding to a call about gun shots being fired in the area. Video surveillance footage reportedly shows 2 Chainz being the aim of a robbery. The police department says 2 Chainz stated he wanted to handle the situation himself and states he was only robbed of a wallet. Early reports were flooding with rumors that the rapper may have been hurt or robbed of his trademark, two gold necklaces. 2 Chainz still went on to perform at a concert in the Bay area later that night.